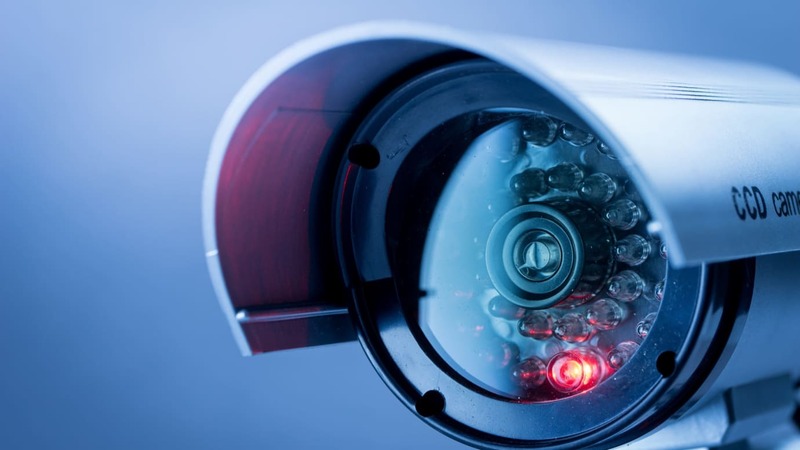 Dubai, UAE: Artificial Intelligence will play an important role in the Middle East commercial security market’s future, as interconnected video surveillance systems and autonomous IP-based solutions become the norm, said the boss of a global video surveillance manufacturer. Gaurav Kemka, the Director of CP PLUS, said mining scores of data to find answers and facilitate prompt decision making has become simpler with the help of video analytics and digital surveillance, solving multiple problems across a range of applications, from small retail outlets to high-level government intelligence agencies. CP PLUS is one of more than 1,300 exhibitors from 59 countries at the upcoming Intersec 2019 exhibition in Dubai, the world’s leading trade fair for security, safety, and fire protection. Kemka said the company has completed numerous projects in the Middle East in the last year, highlighting the UAE’s Landmark Group as one of its flagship references. “The Landmark Group is a multinational conglomerate involved in consumer retail while it also has interests in hospitality and leisure, healthcare and mall management,” added Kemka. Round the clock surveillance was a major requirement for Landmark Group’s vast network of retail outlets, and CP PLUS provided more than 1,500 IP cameras for this purpose. While retail is one industry vertical that has benefitted from the value added offerings of integrated security systems and video analytics, Kemka said almost all other industry verticals are now catching on: “Today security has transcended from a need for safety to that of value addition and an enabler for people and processes,” Kemka said. CP PLUS will put the spotlight on its Artificial Intelligence and Internet of Things based technologies at the 21st edition of Intersec, which takes place from 20-22 January at the Dubai International Convention and Exhibition Centre. It will line-up alongside more than 500 global solutions providers in the three-day event’s Commercial Security section, the largest of seven dedicated show sections that includes Fire & Rescue, Safety & Health, Homeland Security & Policing, Physical & Perimeter Security, Information Security, and Smart Home & Building Automation. Spanish company GESAB is another international player in the Commercial Security section looking to build its network with key regional decision makers of security and defence-related projects. A returning exhibitor to Intersec in 2019, GESAB specialises in technical solutions for the design, manufacture and installation of both control centre and data processing centre projects. The Madrid-based company was involved in the Dubai RTA’s (Roads and Transport Authority) new Enterprise Command and Control Centre (EC3). Opened in 2017, EC3 is one of the world’s largest and most modern control centres, tasked with monitoring Dubai’s mass transit network, including the Dubai Metro, Dubai Tram, public buses, taxis and marine transit systems. Fernando Cajal, International Sales Manager for GESAB in the Middle East, said GESAB’s role in EC3, which came through a contact made at Intersec, was to develop the technical furniture for the Main Control Room, Security OCC, Tram back up room, IT SOC Room, Lecture Room, and Gold and Silver Rooms. GESAB will showcase at Intersec 2019 its own custom designed and manufactured range of technical furniture and control consoles, along with its Dynamic IP-based KVM (Kernel-based Virtual Machine) system called DeskWall. Cajal said CCTV platforms and control centres are used for the control and management of security, both in the private sphere and in public spaces, adding: “It’s in this sense that video and analysis systems are of vital importance. Many more of the world’s leading security solutions providers have also confirmed their participation at the 21st edition of Intersec, including 18 of the global top 20, such as Hikvision, Assa Abloy, Axis Communications, Flir Systems, Hanwha Techwin, Avigilon, Infinova, Nedap, IDIS, and Milestone Systems. All of these have also enjoyed considerable success in a Middle East commercial security market that, according to analysts 6Wresearch, will grow by nearly 17 percent annually over the next six years, valuing US$7.4 billion in 2024, compared to an estimated US$2.9 billion in 2018. With 75 percent of the regional market in 2017 (US$1.87 billion), video surveillance is by far the largest product segment, followed by access control (US$367 million), and intrusion detection (US$262 million). Retail and banking currently hold the lion’s share of the regional market by industry verticals according to 6Wresearch, with an 8.6 percent (US$249 million) and 7.5 percent (US$217 million) share respectively. Andreas Rex, Intersec’s Show Director, said: “The Middle East commercial security market has evolved significantly over the years and Intersec exhibitors in this area have always stayed ahead of the curve when it comes to presenting new technologies and innovations for varied end-user verticals, from retail and hospitality, to banking, transport, government, aviation, and smart city concepts. Intersec 2019 returns early next year with a revamped conference line-up, including a three-day Intersec Future Security Summit raising key issues on Artificial Intelligence, security Integration, emergency preparedness and response, data protection, IoT and much more. Returning is the SIRA (Security Industry Regulatory Agency) Forum, with the latest updates in security law and industry regulations in Dubai, while a one-day Fire Safety and Protection Conference will involve authorities, fire chiefs, engineers, fire fighters and emergency response professionals.